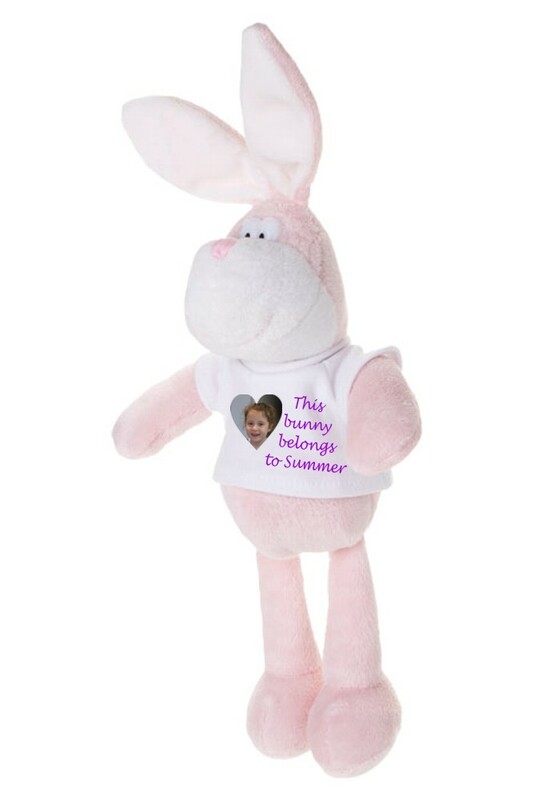 Personalised Full Colour Pink Bunny Rabbit with T-shirt. This gorgeous plush rabbit has a t-shirt ready for you to add text and/or a picture. It measures 400mm from the top of the ears to foot. Ideal as gifts for Flower Girls, Christenings, Birthdays, Valentines Day, Easter, Baby's 1st Christmas….it’s endless!